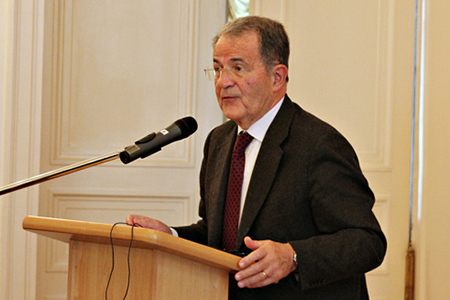 The marathon negotiations conducted by the P5+1 international mediators and Iran for many years have come to an end. The talks were coordinated by EU High Representative for Foreign Affairs and Security Policy Federica Mogherini, who, together with the Iranian Foreign Minister Mohammad Javad Zarif, is now giving a presentation on the results of their work for the journalists and audiences around the world. Question: Chinese President Xi Jinping and President Vladimir Putin had talks on the sidelines of the BRICS and SCO summits in Ufa. 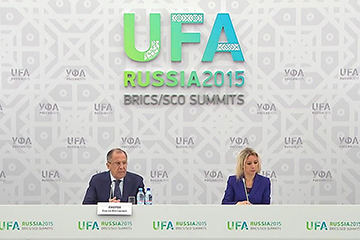 They mentioned the issue of joining the Silk Road Economic Belt and the Eurasian Economic Union (EAEU). What could you say about the results of their meeting? Sergey Lavrov: During the summit in Moscow last May, Chinese President Xi Jinping and President Vladimir Putin signed a memorandum on the initiative to join Silk Road Economic Belt projects and the processes of Eurasian economic integration. Naturally, Russia and China are not the only two potential participants in these efforts. This issue concerns the entire EAEU. The initiative put forward by the leaders of our two countries is now being reviewed by our EAEU partners. 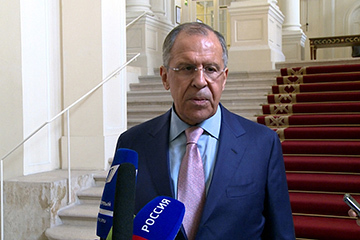 Sergey Lavrov: Another round of ministerial talks on Iran's nuclear programme has come to a conclusion. We compared our notes, noted substantial progress and singled out eight to nine issues that need to be finalised. We issued instructions to our deputies/policy directors, who will follow up on this work over the next couple of days. 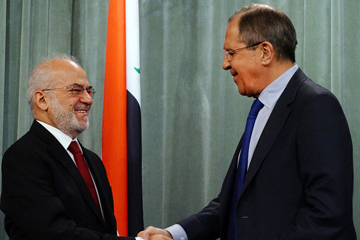 In the end, I believe that this meeting, just like our meeting in Lausanne, was the right thing to do. The closer the finish line, the more stakeholders are tempted to bargain for more concessions from the other side. This is natural. It happens all the time at any and all multilateral meetings and discussions. Today, we can state the following result — we have come closer still to a final agreement. Clearly, everyone is interested in reaching it. We decided not to set any artificial deadlines for ourselves. We have held useful and constructive talks in keeping with the way our dialogue with Luxembourg has always been. 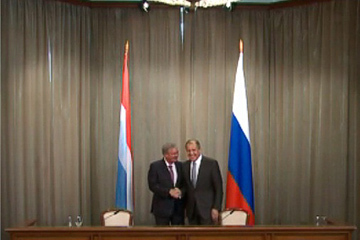 Luxembourg is our longtime partner and a major foreign investor in Russia. We noted the ongoing interest of the business communities of both countries in deepening our cooperation. We welcome the active work of Luxembourg’s industry flagships, such as Paul Wurth in metallurgy, and Guardian Industries, on the Russian market. Recently, Accumalux Russia – a high-tech joint venture – was created in Togliatti. We agreed that we will promote and maintain the interests of our respective business communities in harmonising and implementing new projects. We have held useful and candid talks, which we both believe warrant positive coverage at the news conference. Our countries enjoy traditionally friendly relations. We are united by similar or even identical approaches to the key issues of the modern world. We focused particularly on promoting bilateral relations, which have really taken off, especially in trade and the economy. Of particular importance is our continued cooperation in the oil and gas industry, the power industry and the military-technical sphere. Russian economic operators, primarily LUKOIL and Gazprom Neft, as well a number of other companies, are working in Iraq and are contributing substantially to the revenue side of the Iraqi budget. Question: The year is drawing to a close. It’s been a critical, difficult and complicated year. 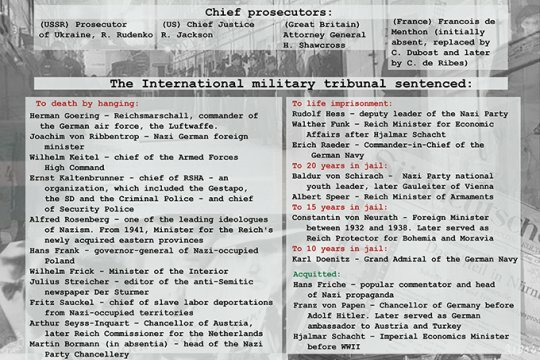 What are our main achievements on the international front? What has our country accomplished? 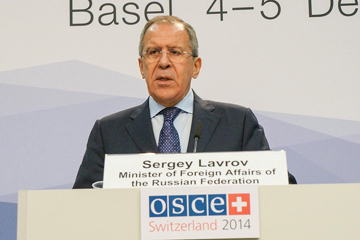 Sergey Lavrov: Speaking about achievements – though we usually assess our work in terms of effectiveness, not successes – I would single out the fact that we have managed to draw attention to the need to build a new multilateral and multipolar international system. The idea is not so new: its foundations are enshrined in the UN Charter, which sets down the principle of consensus among the leading states within the Security Council (I mean its permanent members) and collective security, i.e. collective efforts to overcome any risks and threats facing the whole humankind. 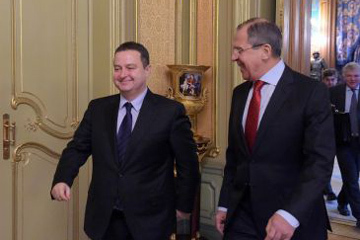 I’m sincerely pleased to welcome to Moscow my Serbian colleague and friend, Foreign Minister Ivica Dacic. Our talks have been useful and detailed, focusing primarily on OSCE issues in the context of the Serbian Presidency of it in 2015. We both believe that in the current difficult situation in Europe it is very important to conduct a collective search for ways of enhancing trust and mutual understanding on our continent and the rest of the Euro-Atlantic Region. In this context we emphasised the importance of promoting the Helsinki+40 process and establishing the Group of Wise Men, about which we agreed at the OSCE Ministerial Council in Basel on 4-5 December. 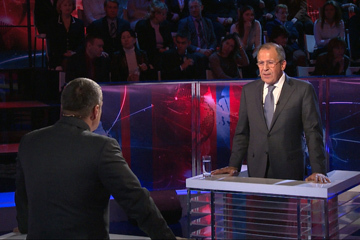 Q: Mr. Lavrov, let’s begin with the crisis in Ukraine. There were rumors that Moscow was ready to host maybe some negotiations. Can you tell us about the latest news? 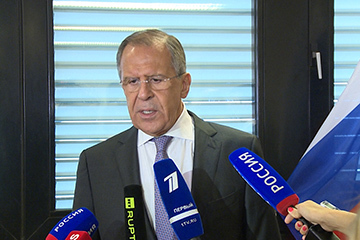 Sergey Lavrov: Well, there is reason for some cautious optimism, but the news which you just mentioned, about Moscow being ready to host some meeting, is new to me. We have been in agreement with our Ukrainian colleagues, colleagues from the OSCE and the people from Lugansk and Donetsk area. We have been pushing for convening another meeting in Minsk of the contact group, which is very important to make sure that we intensify the implementation of the Minsk protocol signed in September, and that’s what we’re trying to achieve at the moment. 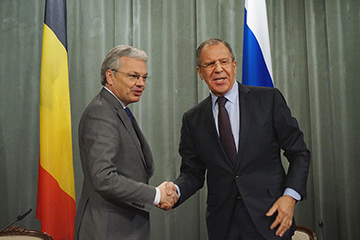 We have conducted in-depth, substantive negotiations on bilateral relations between Russia and the Kingdom of Belgium, and on issues on the international agenda, taking into account Belgium’s chairmanship of the Committee of Ministers of the Council of Europe over the next six months. We proceed based on the premise that we share and support the CE’s goals. This ministerial meeting of the Organisation for Security and Cooperation in Europe (OSCE) is drawing to an end. First of all, I would like to praise the Swiss Chairmanship, and personally the President of the Swiss Confederation, Head of the Federal Department (Minister) of Foreign Affairs and OSCE Chairperson-in-Office Didier Burkhalter and his entire team, who have worked hard the entire year to ensure balance in their work and in the activities of the entire organisation, including its secretary, in full accordance with the underlying OSCE principles.